Soldier, Father, Rebel. Outlaw. A man of deep convictions, Captain Newt Knight disagreed with the values of the South and was accused of deserting the Confederate army. He was a believer in doing what was just. During the Civil War, he formed his own band of deserters who would rebel against the Confederacy and support the Union. 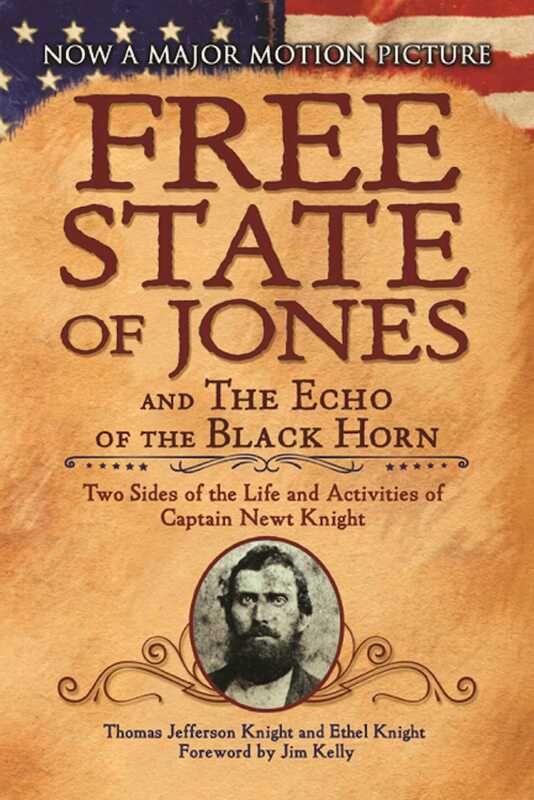 In the spring of 1864, the government in Jones County was effectively overthrown, and, the county was dubbed The Free State of Jones.” Eventually, Knight would establish a mixed race town for both whites and former slaves to inhabit together. This edition merges two rare books on the subject; Thomas Jefferson Knight’s The Life and Activities of Captain Newt Knight and Ethel Knight’s The Echo at the Black Horn. Each paints a singular portrait of this elusive historical figure. Was he Civil War-Era Robin Hood or a manipulative cult leader? Both surely have fictitious elements determined by the authors' biases. Historian Jim Kelly provides a forward that helps examine the importance of each position on Newt Knight’s role in the conflict and what his motivations truly were. Now the subject of a new feature film, the experiences of Newt Knight will be brought back to light. This highly informative book helps to explore his life and give an in-depth look at the manthrough the eyes of his son and grand-niece.